4 Volt LED panel without resistor – 1. 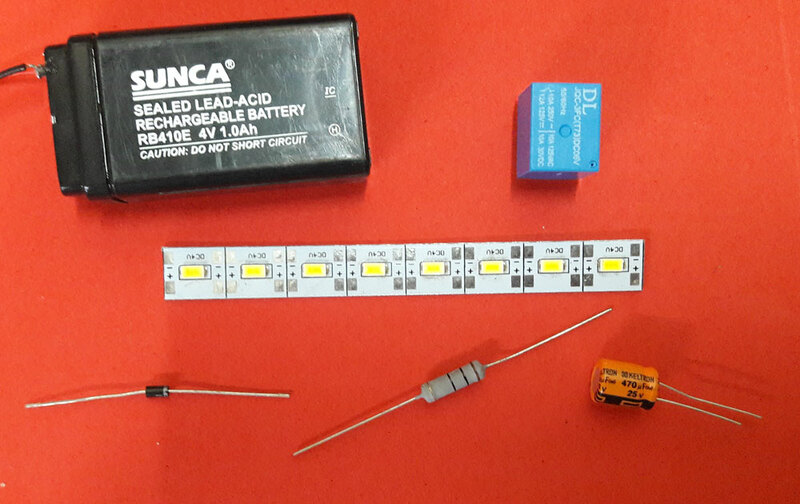 You can take a piece containing 4 LEDs or two pieces connected together for 8 LEDs. 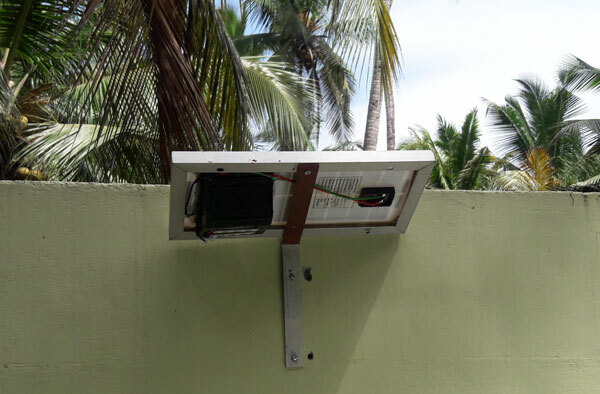 The automatic working of the Solar light is based on the switching action of the Relay. Solar panel is directly connected to the relay, so during day time relay energize to break power from the LED light. From the Solar panel, charging current is going to the battery through diode 1N 4007. So during day time, batter charges via 1N 4007 diode. Battery is connected to the Common contact of Relay. Also to the Cathode side of diode 1N 4007. When the sunrises, solar panel starts generating voltage. When this increases to 6 volts, Relay energizes and breaks the Common and NC ( Normally Connected ) contacts. As a result, LED light turns off. Current from the solar panel flows into the battery for charging. Throughout day time, relay remains energized and battery remains charging. When the sunlight reduces in the evening, voltage from the solar panel ceases. Relay then turns off and stops battery charging. When the relay turns off, its Common and NC contacts join. As a result, current flows from the battery to the LED panel and switch on light. This condition remains as such till morning. So no need for daily switching and it light the premises of home even if nobody is there. 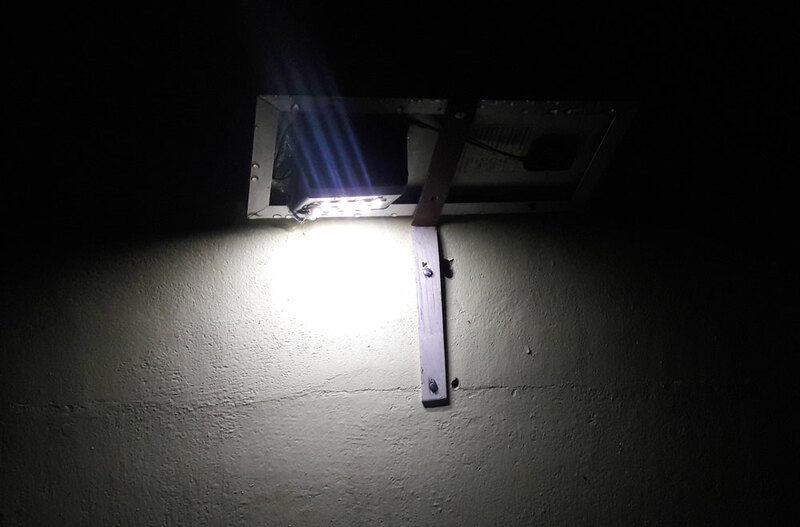 You can use the same technique for higher types of solar lights. Say, using 12 Volt 10 watts panel, Car battery, 20 watts LED Light etc.